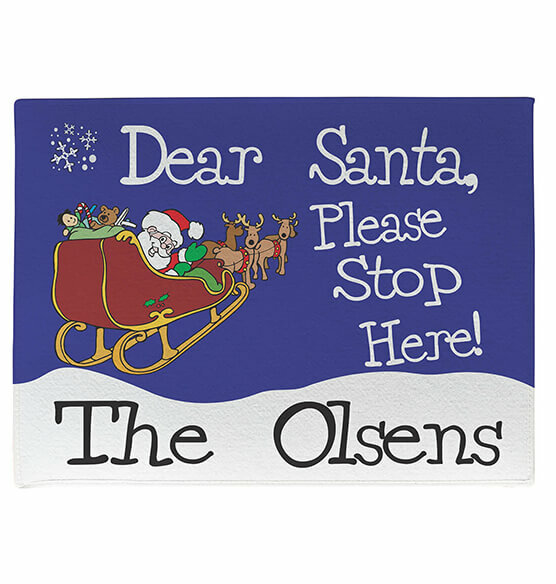 Santa will get the message to "stop here" loud and clear with our Personalized Dear Santa Doormat. Recommended for indoor use, but can be used outdoors as well. 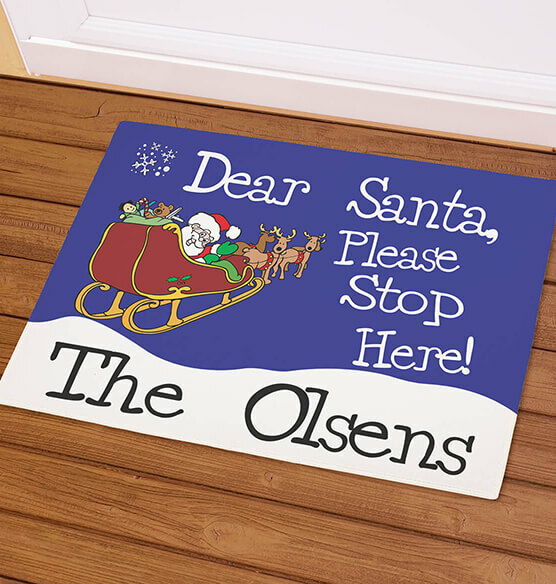 Doormat is made of a smooth fleece with a gripper latex backing. Specify size: 18" x 24" or 24" x 36". Specify personalization: limit 1 line/30 characters.